Yesterday for dinner I decided I'd better use the fresh produce I had bought over the weekend. As my inspiration comes from Christina Pirello and her "Christina Cooks" TV show, I attempted to have 5-6 things going at once. It got a little crazy. I ended up asking mom to step in and complete the pasta dish planned for her and Ken. So she did. 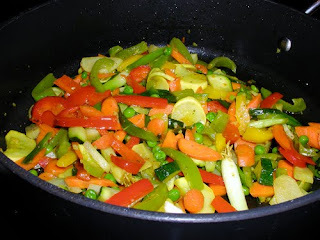 I still had the rice cooker going; was cutting up and stir-frying veggies and tossing them into the pan as I was cutting them (just like Christina! 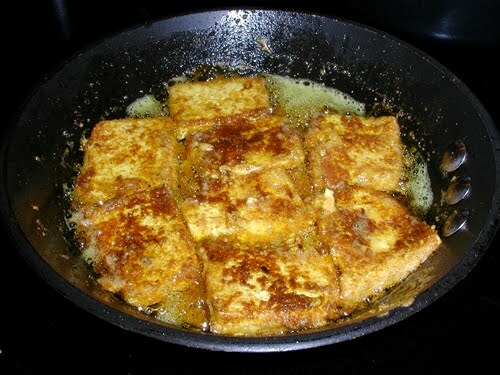 ); the tofu marinating in a pasty tahini sauce I made up; then I tried to get the pan with the olive oil going for that. I placed the tofu into the pan and returned to the veggie stir-fry. Success!!! The evening's dinner preparation was a little nerve-racking at first because I did not want to burn anything, but thanks to Christina, nothing burned because I followed the guidelines for heat level, oil sizzle, and which veggies go in first and last, etc. Thanks for the inspiration Christina. Our dinner was super as usual! And we were not late for church.